Kett Country Cottages is a friendly and flexible holiday letting agency which has properties across the length and breadth of Norfolk. Its dynamic website means your perfect Norfolk holiday is just a few clicks away. Kett will have a team at Hunstanton Lawn Tennis Tournament each day, available to offer advice to both property owners and holidaymakers, and of course operate their prize draw. Gresham’s is a vibrant, co-educational day and boarding school situated in Holt, north Norfolk in an area of outstanding natural beauty, only four miles from the coast. Our three schools offer a seamless education, taking pupils from nursery aged 2 through to A levels or the IB Diploma. We focus on educating the whole child by providing a broad yet rigorous curriculum, combined with an extensive range of sporting, social and cultural opportunities. In 2016, Gresham’s was awarded an ‘Excellent’ rating across all nine categories in all three schools following an Independent Schools Inspection which is testament to our progressive academic curriculum, high quality teaching and excellent pastoral care. To find out more, visit us at one of our next Open Mornings, Taster Days or book an individual visit. 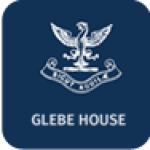 Glebe House School and Nursery, is North West Norfolk’s leading independent prep school, located on the beautiful North Norfolk Coast. A leading electrical retailer which has been around since 1921. In 2011 Hughes Electrical celebrated its 90th birthday by winning both the EDP Business of the Year which is East Anglia’s most prestigious business award and the ERT Independent Electrical Retailer of the year which is the Industry’s most prestigious award. As the largest independent sports retailer in the country Pilch InterSport is serious about sport. It has specialist departments for Tennis, Cricket, Hockey, Running and Ski and all the staff are passionate about sport and experts in their own sporting fields.